Goddard’s was started by Richard Goddard, formally of Reading MA. Richard graduated from Reading Memorial High School in 1975. While in high school Richard worked for one of the largest Antique auctioneering firms in MA. For many years Richard learned about antiques as well as how to restore them. As time went on Richard started Goddard Brothers Landscaping in his first adventure as a business owner. It only took about a year to for him figure out landscaping didn't fill his passion for antiques and historical items and it wasn't the correct field for him to be in. Richard’s brother, Tom, took over Goddard Brothers so Richard could pursue starting another company, Goddard’s Painting Service. 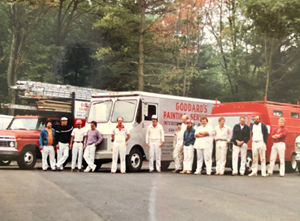 Goddard’s Painting Service was started in 1981. Richard began the company by restoring old homes and historic buildings. 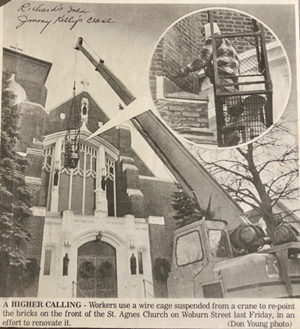 Richard worked on historic buildings such as the Oliver Wendell Holmes historical landmark, the Sears Estate, the Jordan Marsh Estate in Manchester –by-the-Sea, Parker Tavern, St. Agnes Church, Calvin Coolidge Estate, Phillips Academy, and many more. As time went on, Goddard’s has turned into a true family business. Richard married his wife, Alice, in 1991 taking on a partner in business. 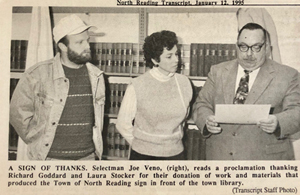 Alice operated her own business providing book keeping and accounting services and is now the office manager and book keeper of Goddard’s. Goddard’s has since grown astronomically. Goddard’s operates a large number of painting crews, carpentry crews, and provides pressure washing services as well. Goddard’s works with the area’s best contractors to help provide their customers with the best experience possible. Evolving with the times, Goddard’s provides services to all types of residential homes and commercial buildings. Richard has had some of his favorite painters working with him for over 20 years! 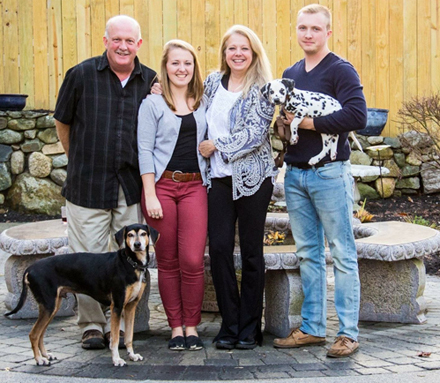 In 2013, Goddard’s took on another part of the family to help run the business. Richard’s son, Richard “Spencer” Jr., finished school at Salem State University and decided to take a serious roll in the family business. Spencer has since been working with his parents to help grow Goddard’s as a modern day business and to carry on the legacy of Goddard’s in the greater Boston area.